Apprx. 12 x 12 inches, each block. 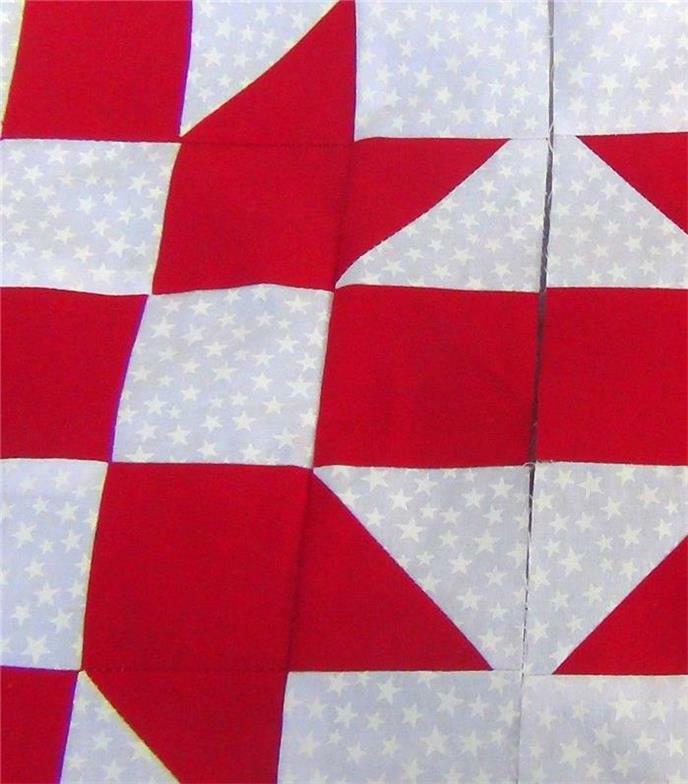 Red and White Stars - Sisters' Choice -quilt blocks. and several borders if desired. 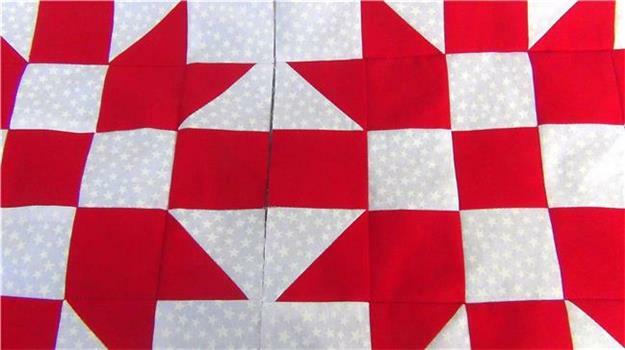 of piecing time; and I love sewing. The completed blocks are pressed and trimmed. all seams may not perfectly match. completed, provided that enough fabric is available. throw, wheelchair quilt. These are blocks only.